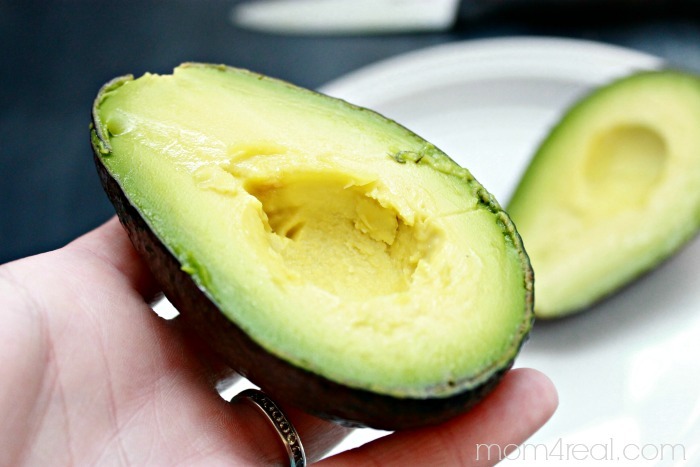 I absolutely love avocado! 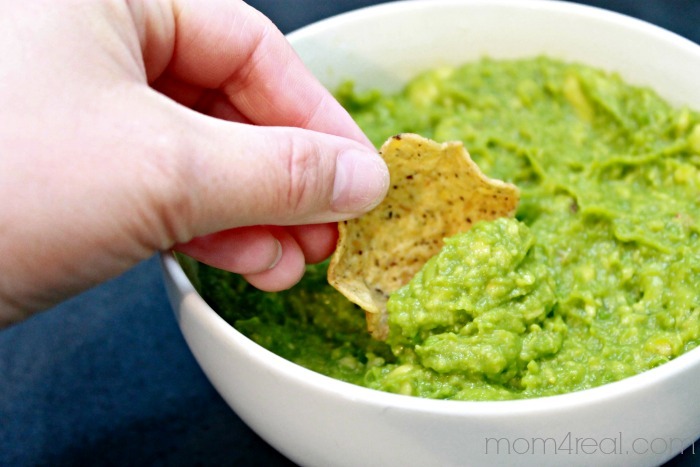 I eat it by itself, in salads, on sandwiches and I make guacamole as often as I can! 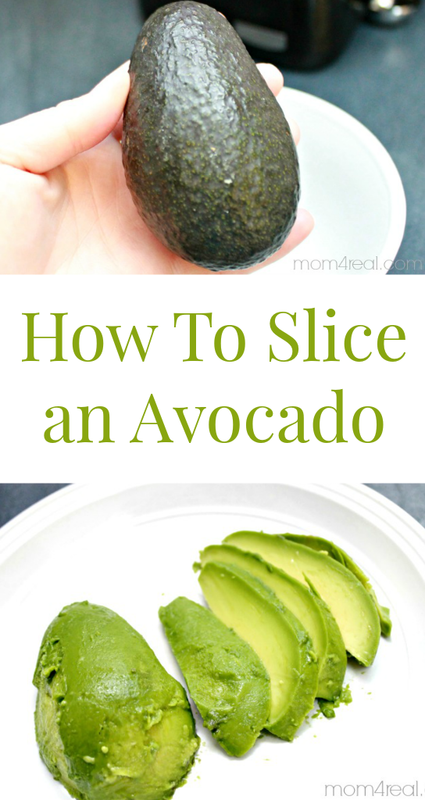 One of my readers recently asked me how to slice or cut an avocado, so I thought I would share they way I do it with you today! It’s so easy and takes just minutes. 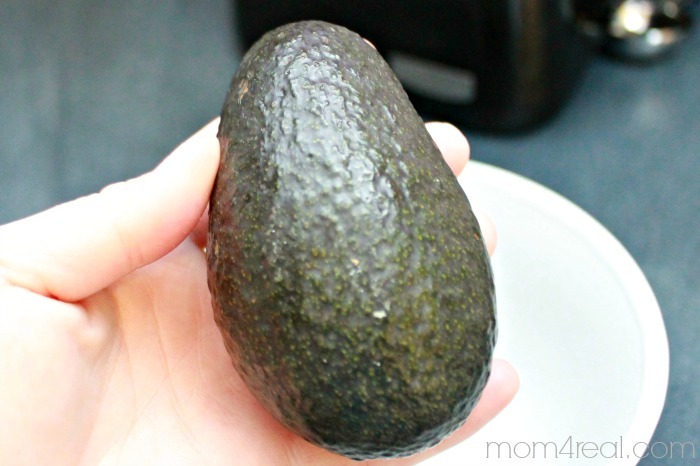 Start by holding the avocado in one of your hands. and cut from top to bottom, then continue cutting all the way around. You should now have two halves. 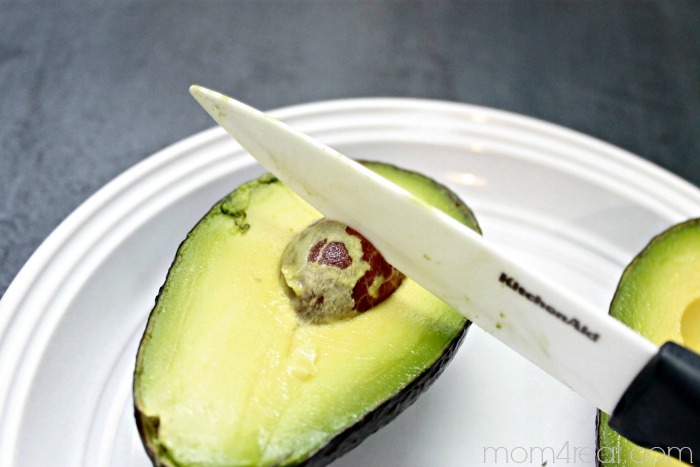 Tap the avocado pit with your knife and lift it out. Your knife should stick in the pit, so there should be no reason to use your hands. Now throw away the pit. 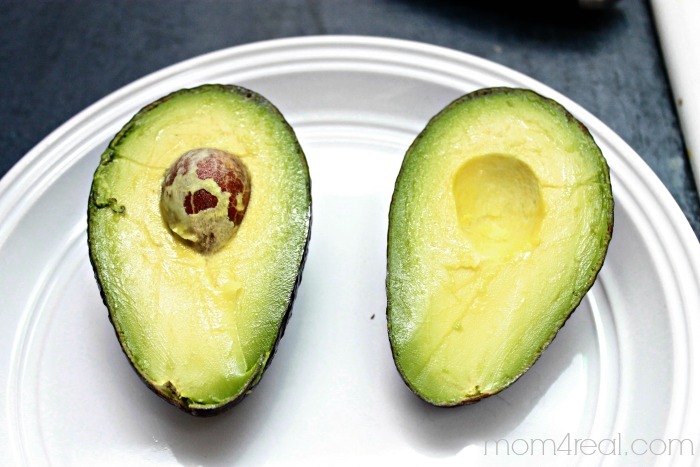 Now hold one half of the avocado in your hand. 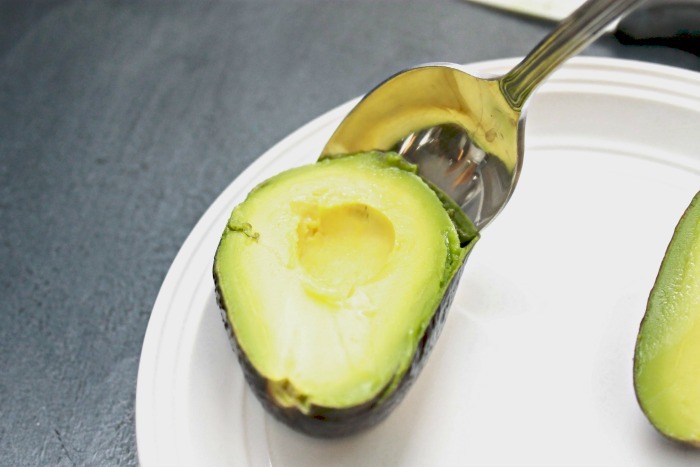 Take a spoon and lightly work it around between the avocado and the peel, separating the two. Now place it face down and cut into slices. 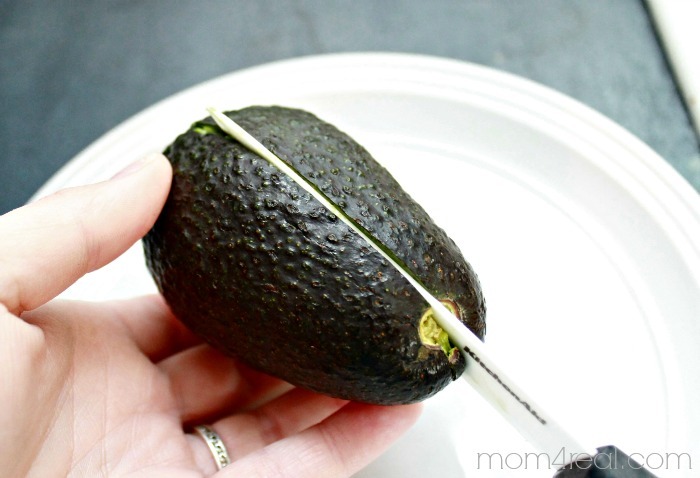 Now your avocado is ready for your favorite salad, sandwich or guacamole! 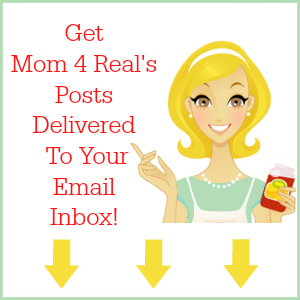 Subscribe to receive email updates from Mom 4 Real. 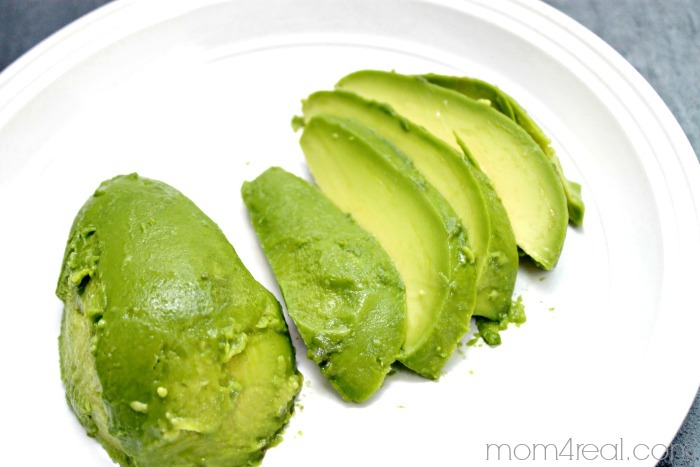 Once, when we were at my stepdaughter’s for lunch, I offered to cut up her avocados for her. I grew up knowing your technique and assumed everyone else did, too. She told me she had been peeling it before. So, your post is probably going to help a lot of people. I just wanted to add my own idea to the mix. I slice it or cube it right in the skin and don’t have to dirty a plate.